If you’re obsessed with your home or office design and structure, then probably you have caught an episode of the famous Canadian series called “Holmes of Homes”. The show ventures to predict the dreading thought of an impressive and potential project on home improvement, which includes the journey of hiring a contractor. Fortunately, finding a reliable contractor doesn’t include difficulties such as extricating the eight layers of the cemented walls. But, it is necessary to ensure the right fit for your dreams, so interviewing general contractors would be the best option in St. Louis. Often, homeowners start to remodel their projects and make some wise decisions, which include an overwhelming amount of data and future planning. And to do this, selecting a right contractor is important who will help in adding space and accompanying your dreams, will ensure your safety as their priority and will follow legal rules and bonds as well. Before you hire them for your new venture, ask few questions which are mentioned below! 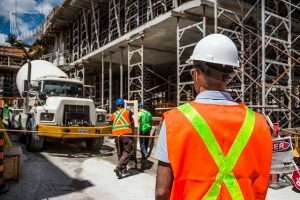 In most of the cases, contracting businesses are built on an illegal basis, which is known to few people in St. Louis. There are various ways of organizing industry and quite difficult to understand the intention behind the screen as well. So, before you hire any contractor for your upcoming project, make sure that they have proper name and bonds, must have genuine paperwork regarding the stricture of the business, and should possess the ability to handle any type of service.